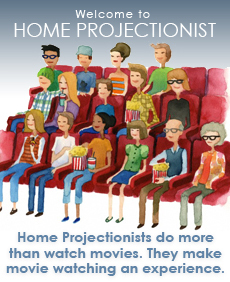 Algorithms may be emerging as a powerful force in our world, but they sure aren’t as clever or as funny as Home Projectionists…and they can’t expand your movie horizons like our community of Home Projectionists on Facebook. We started the What Are You Watching? group on Facebook during last year’s winter holidays while we took a sabbatical from the Home Projectionist blog. The group now has more than 100 participants, all savvy and smart cinephiles who share, discuss, joke, and connect — and most importantly, make compelling recommendations for movies to add to your list. Hundreds of films have already been talked about — from current popular releases like THE SESSIONS (2012) to the obscure, like the early Technicolor THE TRAIL OF LONESOME PINE (1936). As a result of the Home Projectionist group, my must-see list is on super-growth hormones, like some crazy beanstalk I will never be able to conquer. It’s a better kind of “pragmatic chaos” than the algorithms provide. In addition to the direct recommendations and reviews, What Are You Watching? conversations go into all kinds of movie territory. Kelli, Andy, and Steve recently had a discussion about THE YOUNG GIRLS OF ROCHEFORT (1967) and the power of watching big movies on the big screen, and when you can’t, they agreed, sharing them with a group of friends is the next best thing. Eric reported that he had watched DINAH EAST (1970) and spotted Tara from GONE WITH THE WIND in a backlot scene. Aaron told us about the fabulous terribles he picked up in a $5 bin. There was a multi-day dialogue about everyone’s favorite Susan Hayward movies. 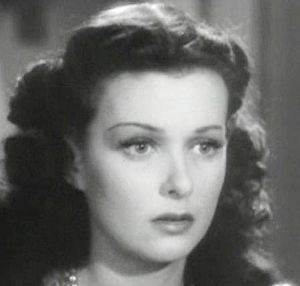 And we discovered that Dark Shadows super fan Harold put together a tribute to Joan Bennett. To make me laugh when I’m feeling a bit down in the dumps, I recall the day Daniel deadpanned, “Electricity is kind of a big deal,” when commenting on the famous dance from DeMille’s MADAM SATAN (1930). I don’t think there could be a better crew of film fans. The Home Projectionist What Are You Watching? Facebook group is open for your viewing pleasure and participation. Go to http://www.facebook.com/groups/homeprojectionist and join in today.